As tensions escalate between the US and North Korea, unofficial talks between the two sides continue - but what does this kind of backchannel discussion look like? It is 25 September 2013 in the German capital of Berlin. High-level North Korean officials and their former US counterparts stroll into a restaurant specialising in local cuisine. There is small talk and an exchange of greetings about each other's families. Although the participants on both sides are well-known figures, maintaining confidentiality won't be an issue. There is tight security around the hotel where the restaurant is located and the participants in the talks rarely make appearances outside the building. These conversations typically start with a fancy dinner, followed by a day of discussion between the two sides. 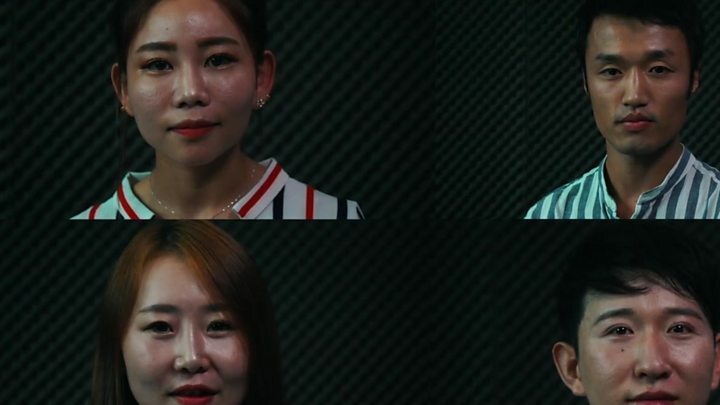 Although the North Korean participants stick to explaining their government's official stance, the American counterparts find it helpful to get clarification on the North Korean regime. The absence of diplomatic ties between the United States and North Korea, coupled with extreme restrictions on the flow of information in the latter, makes the North one of the hardest countries for Washington to figure out. The Berlin meeting is just one example of the informal dialogues between the two countries that have been taking place for decades. Geneva, London and Kuala Lumpur have been host to these meetings in the past. The meetings are dubbed "Track 1.5" as it involves North Korean government officials, which makes it official or Track 1 from Pyongyang's perspective; but only former officials or academics on the American side, making it Track 2 in the US. In the past few months, the US and North Korea have increased their hostile rhetoric against each other. As the tensions rise on the Korean peninsula, so has the interest in the informal dialogue between the two countries. Experts believe the backchannel discussions can serve as a stepping stone to official discussions on denuclearisation. As such, all eyes are on the next round of unofficial talks - scheduled to take place on the sidelines of a non-proliferation conference this week in Moscow. The dialogues involve current North Korean government functionaries, but only former officials or academic experts on the American side. Former Under Secretary of State for Political Affairs Wendy Sherman, nuclear scientist Siegfried Hecker and North Korea's Director General of North America Affairs Choi Sun Hee are expected to be in attendance for the informal talks. Will the upcoming dialogues echo the antagonistic sentiment between the two countries at this year's United Nations General Assembly? Long-time US participants of the talks told the BBC they think otherwise. In fact, Pyongyang authorities appear to be softening their attitude toward Washington experts. Douglas Paal, now at the Carnegie Endowment for International Peace, vividly remembers his first interaction as a civilian with North Korean officials. Paal met North Korean UN officials in Washington, DC in 1994. He was fresh out of his government role as a director on the National Security Council. 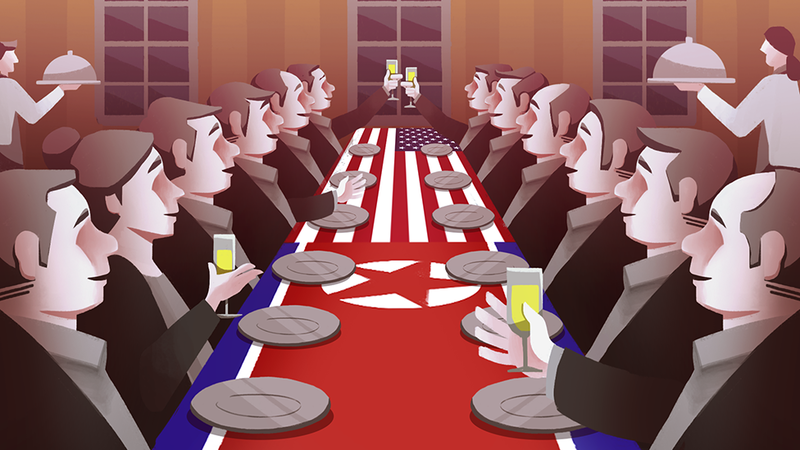 The veteran Asia expert did not appreciate the Pyongyang authorities' threatening tone. "When they pushed me to visit their country, I said: 'I am not going to sit here and have you threaten me and my country,' and left," says Paal. Since then, the North Korean participants appear to believe they have gained some leverage in bringing the American experts to the negotiating table. "My own view is that we've seen enough progress by North Korea with its nuclear and missile programmes that we are at a new point in negotiations with North Korea," he says. Until recently, it was widely believed that North Korea did not have the ability to miniaturise a nuclear warhead in order to mount it on to a missile. But based on the latest media reports, quoting US intelligence officials, the country may have gained that capability in 2017. 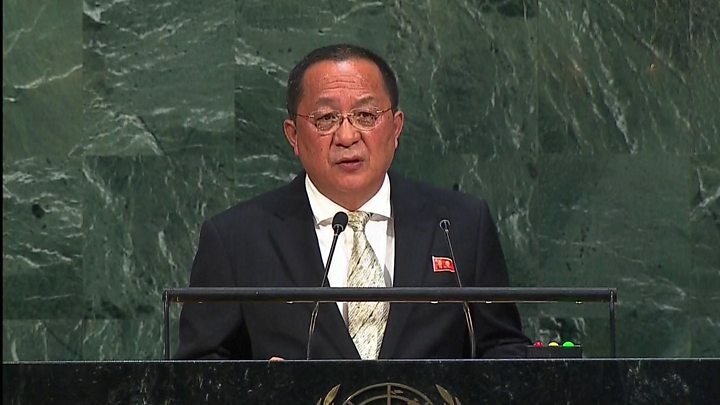 "They were using moderate language to forestall the conversation," says Paal of the North Koreans' softened approach to reach American experts last month. Like Paal, most former US officials involved in backchannel dialogue with North Korea have been in the loop for a decade or two. In fact, one long-time participant, Joel Wit, now a senior fellow at the US-Korea Institute, says he doesn't recall the first time he was involved in those discussions. So far this year there have been three such talks. The first in January was connected to the start of the Trump administration. "I think the North Koreans were concerned and perhaps enticed by things [President Trump] had said during the campaign - about solving the [North] Korean nuclear question, having a hamburger with Kim Jong-un, and improving on the negotiations of his predecessors," says Paal. In May, a dialogue followed the biannual joint exercises by American and South Korean troops on the peninsula. Pyongyang views the war games as a rehearsal for an invasion of their country. The most recent dialogue follows a similar military drill in August. Dialogue insiders say it is important to keep the conversations bilateral, meaning no other countries are involved other than the US and North Korea. They believe a streamlined approach to these meetings will foster an environment in which the participants can explore different ideas. They also recommend confidentiality for the same reasons. "It's important because people feel then they can just express what they're thinking and brainstorm," says Wit. These backchannel discussions between Washington and Pyongyang will continue, it appears, despite a recent remark by a South Korean lawmaker claiming otherwise. Earlier this month, South Korea's conservative Bareun Party lawmaker Choung Byoung-gug said American officials had quit the unofficial talks after September when North Korea conducted its sixth nuclear test. The comment came after Choung met American counterparts and experts in the US capital in early October. But both the US government and the experts who have been involved in the dialogue denied unofficial talks have been cut off. In an email, State Department spokeswoman Heather Nauert told the BBC that "US diplomats have several open channels in which we can communicate with officials within the North Korean regime". But she added "North Korean officials have shown no indication that they are interested in or are ready for talks regarding denuclearisation". Many US experts agree it will be some time before Washington and Pyongyang can engage in official dialogues aimed at denuclearisation of the Korean peninsula. The US is waiting on the additional economic sanctions slapped against North Korea to take effect and the North is hoping to develop its nuclear programme further to gain leverage in negotiations. In the meantime, the backchannel discussion will be the next best option to keep the conversation going between the world's most powerful and the most reclusive nations.